Susan Smith is an Advanced Certified Practitioner of Ortho-Bionomy, enrolled in Instructor Training. Susan began her interest in equine bodywork many years ago, when she became a student of the Reflex Balancing work of reiner and trainer Art Grunig of Santa Rosa, Calif. She is also a trainer of holistic liberty foundation work, which employs herd behavior techniques to establish healthy working connections with horses. This also includes working with human energy, a vital component in the success of a horse-human relationship. This work integrates very well with Ortho-Bionomy. Her bodywork with people includes helping them maintain their health and fitness through Ortho-Bionomy. She also works with trauma, chronic and acute pain, repetitive stress, illness and other challenges that are brought on by work, daily life and sports injuries. Susan was a participant in a non-profit program, OBIS, bringing Ortho-Bionomy to children in a city public school. An avid endurance rider with 2,650 competition miles, Susan maintains a vital interest in basic horsemanship. 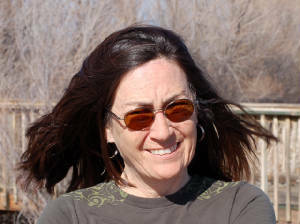 Susan has also been a writer and editor for 30 years with 35 books published for children and teens. Her articles on various topics appear in equine publications such as Western Horseman, Trail Blazer, and The Horseman's Voice. She also publishes her own blog Body Language (horsesatliberty.wordpress.com) "gives a voice to the unspoken language of horses, through bodywork, bodywork and liberty training..."